GINMAN TIRE IS LOCATED ON THE CORNER OF 8TH STREET AND CLAY AVENUE. 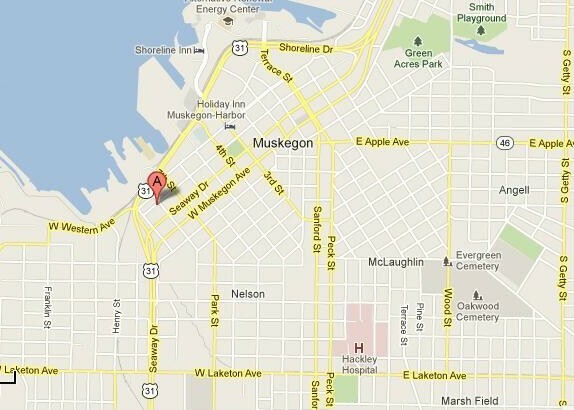 TAKE A LEFT AT W MUSKEGON AVE. TURN LEFT ON W. CLAY AVE.
WE ARE LOCATED ON THE CORNER OF 8TH AND CLAY AVE.
TAKE 2ND RIGHT ONTO W. CLAY AVE.